Another week rolls by, and yet more activations of NBN fibre. Today’s update was mostly incremental, with a few Fibre Distribution Hubs (FDH’s) being made active. 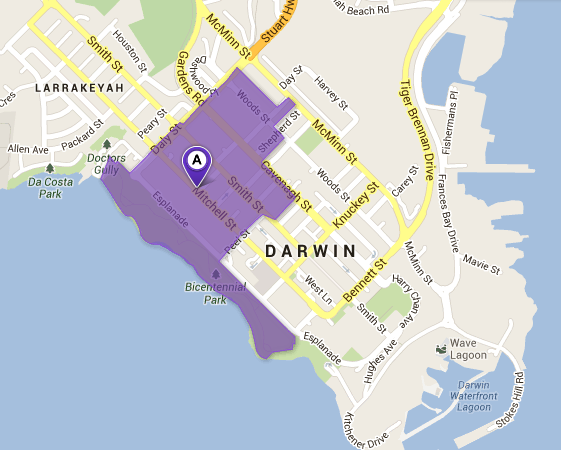 The biggest thing is that there has been some partial FSAM activations in Darwin, which is a first for the NT Capital. It’s good news after many delays in Darwin and it is great to see that NBNco have been able to get some premises able to order a fibre service there. Now we hope for the same in WA which is now the only state without a Brownfield Fibre activation. 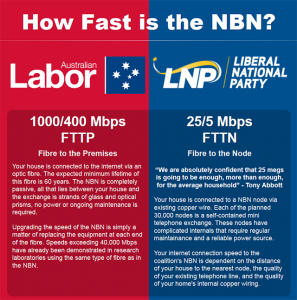 Today a new website was launched by developer and blogger James Brotchie who has been able to show the public the raw speed of the NBN (on a 1000/400 plan) versus the approximate 25/5 speeds promised by the Coalition. 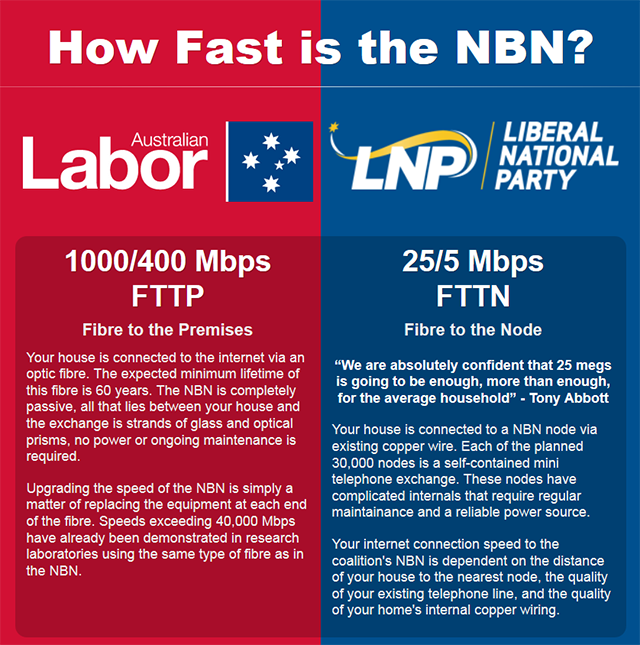 The speeds are based on what the technology of the Fibre NBN achievable today without any upgrades to the hardware, versus the promised speeds of the Coalition in their first term of office (minimum 25Mbps down, no ‘specified’ upload speed*). * Malcolm Turnbull yesterday claimed that “there is no technical barrier to having very high upload speeds,” and pointed to the BT rollout in the UK (again) that they offer a 76/19 service, or approximately a 4:1 Download to upload ratio. That said, we will expect a 5:1 ratio is achievable so matching the 25/5 plans on the current NBN delivery methods of Fibre, Fixed Wireless or Satellite. You have just picked up the dog you’ve always wanted! You’ve recorded picking him up, his first arrival home, and him playing with his new toys. You’ve then edited these scenes into a video and want to upload it to YouTube. How long is it going to take before the world sees your bouncy baby? This brilliant piece of programming and easy to understand differences has already seen a Reddit post go mad, Twitter link sharing going mental from about 4pm, and multiple shares of posts about it on Facebook. The Facebook page of Senator Stephen Conroy had 268 shares on his posting of the link at the time of writing this post. Well done James, I am sure your app development may have to wait, Labor might be hiring you for the next few months!